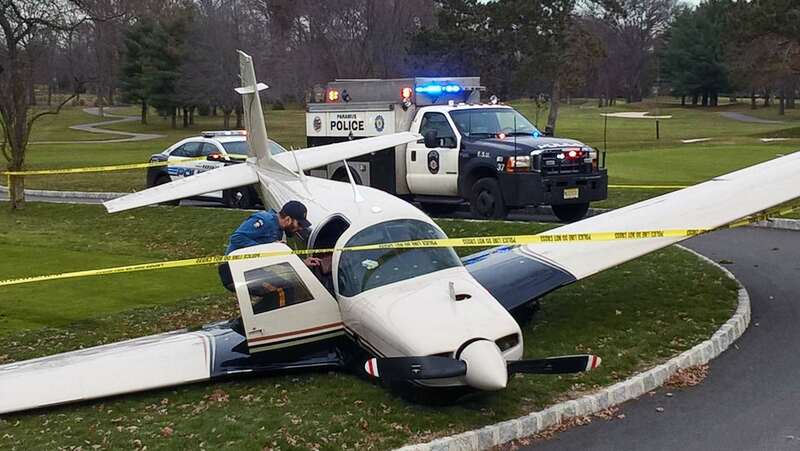 Manhattan science teacher Jonas De Leon was flying his 1984 Mooney light aircraft with three passengers when he began to experience difficulties. It is unclear what prompted the forced landing, or who else was on board the small plane, but three of the four on board received minor injuries. Ron Dorell, a cashier in the pro shop of the Paramus Golf Course, said he first noticed the small plane circling the course around noon. Eventually it passed over the crest of a hill, out of sight of staff members in the shop. Minutes later, passers-by who had been driving by the golf course rushed into the clubhouse to report that a plane had landed on the course. “There’s a lot of open space on the golf course,” Mr. Dorell said, figuring that the pilot might have considered it the best possible landing space in the immediate area. Only about 18 golfers were on the course when the plane went down, according to Mr. Dorell. Because of a frost delay earlier in the morning, the golfers had only set out at noon and were nowhere near the ninth hole when the plane landed there.